Join Envision Lead Grow and The Voice’s Ashley Tamar Davis for the opportunity to record a song in a music studio! Participants will be able to learn about the entertainment industry from one of the original members of Destiny’s Child, Ashley Tamar Davis. In a group, participants will write a song and record it in the studio! 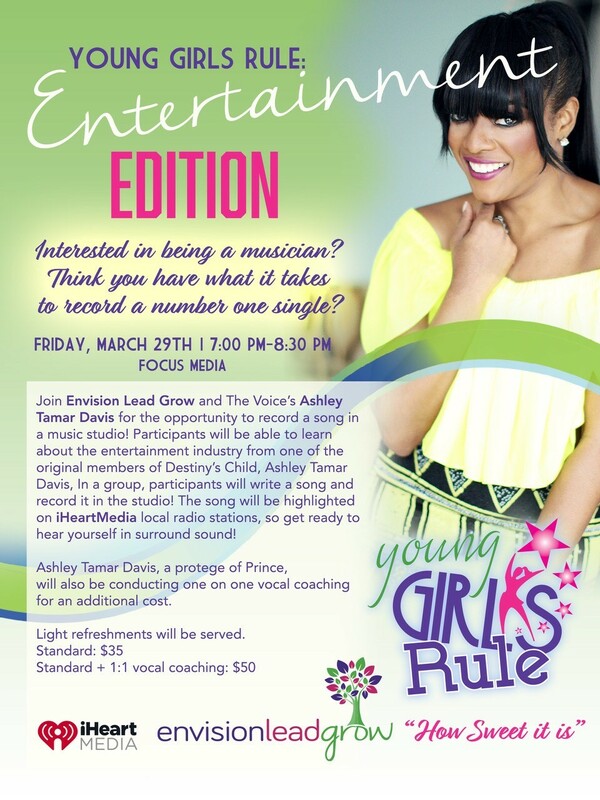 Ashley Tamar Davis, a protege of Prince, will also be conducting one-on-one vocal coaching for an additional cost. Light refreshments will be served. Small convenience fee included. Includes the addition of 1:1 vocal coaching with Ashley Tamar Davis!